Center of living Viking history! 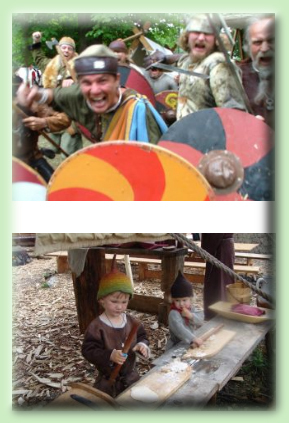 Here, the children (and by all means, the parents as well) get to try all different kinds of historical activities, from household chores, such as baking thinbread over open fire, to the warriors and the sailing vikings daily exercises with sword and shield, longbow or rowing and sailing. This is definitely worth for all brave Viking men-, women-, and children!